Score! 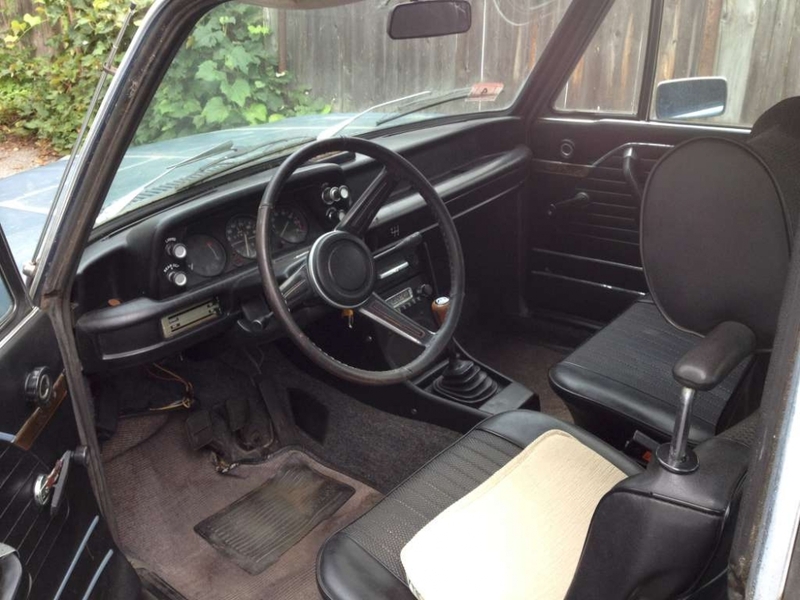 Flofit Seats for Old Blue! I did a Craigslist run out to upstate NY. 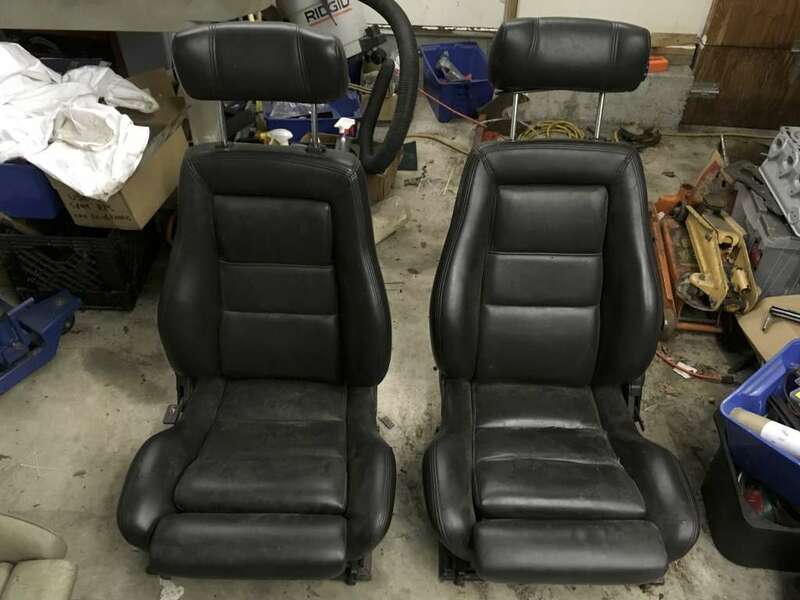 I needed to pick up an E30 sport passenger seat so I could take it apart and steal the bolsters for the worn driver's seat on my E30. But obviously I check CL in every nearby city for other stuff I might need (or just kind of want :^). 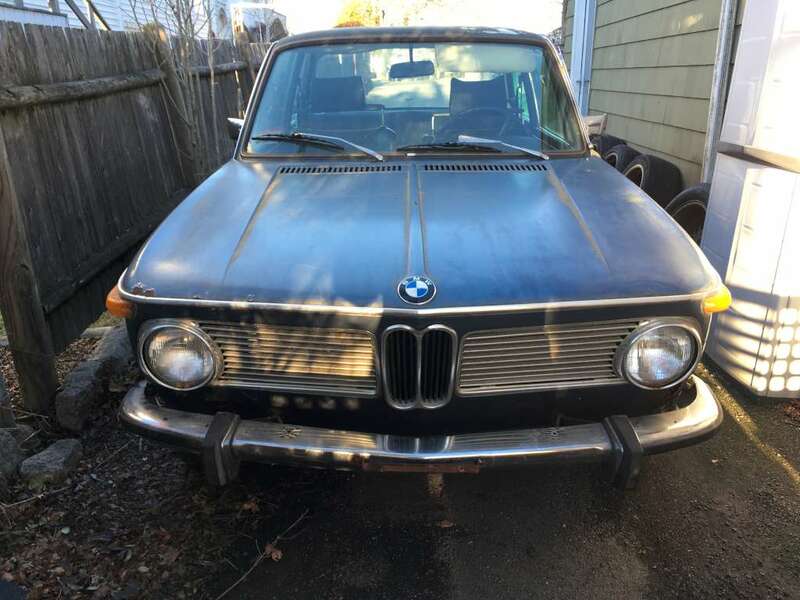 I saw an ad in Saratoga Springs for a set of seats that "might fit a BMW 2002." I asked the seller for a photo and he sent me the traditional bad cell phone pic below. I thought... could be anything. Maybe Flofits. Who knows? I drove out to Schenectady, grabbed the E30 sport passenger seat for $100, then continued north to Saratoga Springs for the mystery seats. The guy asked me if I had a 2002 seat belt attachment (the bendy piece that bolts to the transmission tunnel). I did, so I brought one with me. When I got there, the seats were in the back of the garage. They were indeed Flofits. 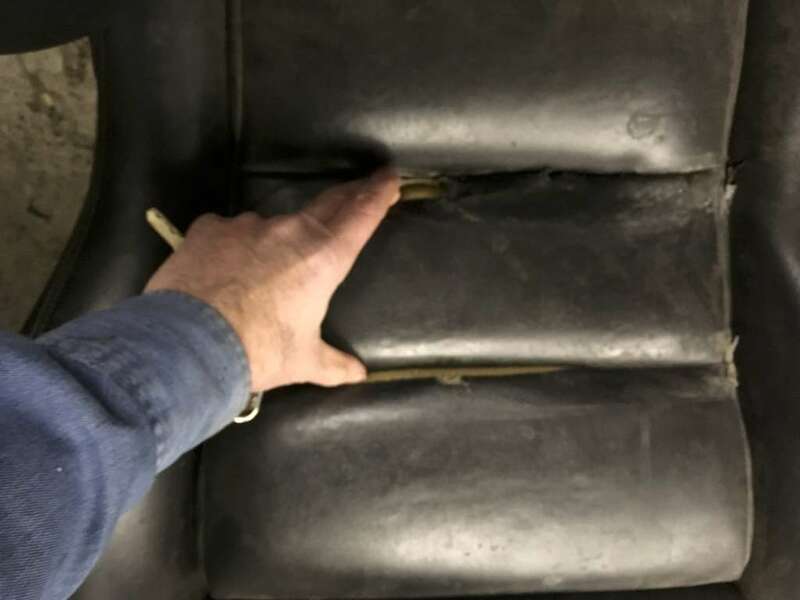 The driver's side seat has two seam splits in the base, but other than that, they're in great shape. It amazes me sometimes what people say when you ask them "what do you need to get for it" instead of trying to bargain them down. For $75 plus the seat belt piece, the Flofits were mine. Not bad for $175 and about twenty five bucks for gas. They have the same 16" side-to-side bolt hole spacing as a Recaro, so standard Recaro seat bracket adapters will work. It's a '73. 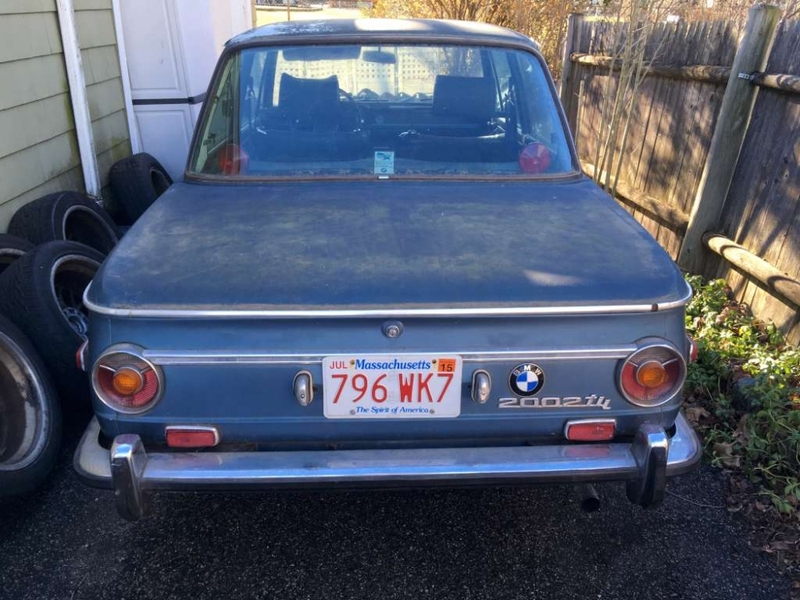 The photos don't show the fender rust, which is, um, significant.